The Pour House has announced, that starting today, their resident musician, Pole Panta, will now be performing nightly from 8pm - 10pm! Come out and hear one of Pattaya's best vocalist/guitarists as he plays great tunes by the Bee Gees, The Beatles, The Eagles and many more. 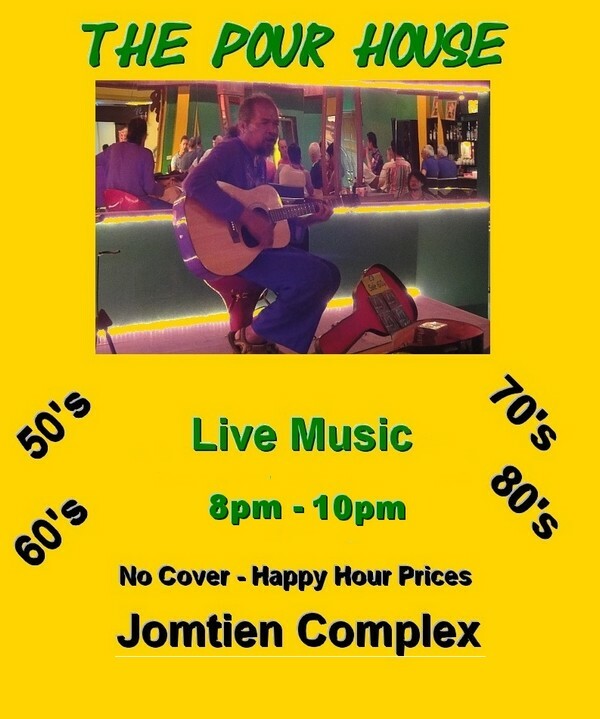 The Pour House is Located in the Heart of Jomtien Complex across from Ganymede Residence.